How to choose the best wire strippers for you! Whether you are a professional carpenter or electrician on the job, a hobbyist with a large project on hand, or just want to have a well-stocked toolbox for when the time calls for it, you are eventually going to need a solid pair of wire strippers. Here are some helpful tips to finding the best wire strippers for you. What makes a good wire stripper? A good overall wire stripper should be versatile. Usually it is best to search for something that can strip a variety of AWG (American Wire Gage) gage sizes. Some will not only allow you to strip wires, but cut and crimp them as well, providing a multitude of useful functions. It should be comfortable to use for extended period of times. It should be able to strip wires without causing any damage or fraying. It should be well put together so that it can’t easily be damaged through normal use. Who needs wire strippers, anyway? A professional carpenter or electrician already knows the importance of a good wire stripper. The day to day job involves using such a tool for hours on end, stripping wires down, crimping, and setting. It’s likely that a professional would have multiple strippers on hand for any and all circumstances. For an engineer or a mechanic, a set of wire strippers should always be on standby should the need arise. Savvy homeowners know the importance of home improvement and repair skills as to be able to avoid paying the high prices a contractor asks for. Every job done by a tool-smart home owner is money in the bank. In situations where professional assistance is need, homeowners with home repair experience are far more capable communicating your home repair needs. Whether your goal is to build small robots or model airplanes, a hobbyist is nothing without the right tools. Wire strippers are a must for any hobbyist who puts together projects with electrical components. Costume makers, photographers, and other creative types may also be surprised at just how often a pair of wire strippers will come in handy when the lights go down, or when your model needs that little extra something to make it stand out above the rest! It’s very likely that, at some point, everyone will find themselves in a position where they will need to pull through the outer casing of a solid or stranded wire. 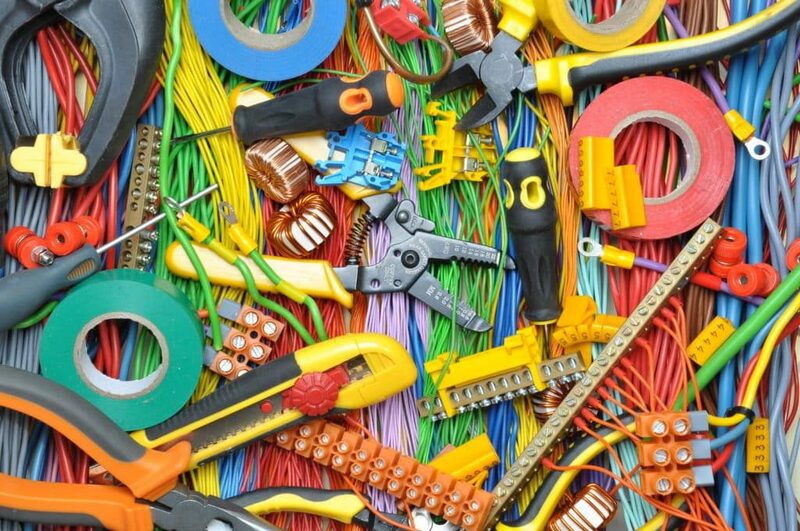 While you may not need to seek out the best of the best, learning how to strip, cut, and crimp wires for quick repairs is an extremely useful skill to have. Remember that when it’s time to stock your toolbox! The right one for you! If you are starting on a professional journey, you are going to need something that will have its place in your toolbox for years to come. Durability will matter to you more than it will for the model airplane hobbyist who needs to rewire his engine. For the family man or woman, cost will likely end up being a bigger factor with the weight of the family budget on their shoulders. Whether your budget is less than thirty dollars or if the sky is the limit, it’s good to remember that in any situation, your goal is to get the most bang for your buck. Going out and purchasing the most expensive stripper within your budget assuming it will be the right one for you is a fool’s errand. Think about how good of a bargain you will have gotten when you forego the sixty dollar strippers in favor of a thirty dollar stripper that does all you need and more! The Klein Tools 11063W Katapult is a near perfect stripper that advertises an ability to strip the entire range of 8 to 22 gage wire. It may take a few minutes for those unfamiliar with professional wire strippers to use, but after that it’s just squeeze and release. The curved handle and grip make it comfortable to use for longer periods. It’s well made, with a good amount of weight for balance without being too heavy in your hands. It is a very durable tool that will likely never incur any damage from normal use. The reason this is a near perfect stripper and not a perfect stripper is the fact that while it advertises an ability to strip up to 22 gage wire, it actually has trouble with some of the smaller wires. Still, for the professional or serious hobbyist, it’s highly recommended. For the professionals and hobbyists alike, IDEAL has always lived up to its name. This one may not be as user friendly as others on the list, but it is none the less a very well made tool. The strip master can be purchased for a number of various size gages, and is probably the best wire stripper if we are going by comfort alone. It takes less pressure to operate than most other strippers, which makes it great for older people or just people who aren’t used to working with their hands very much. The Stripmaster doesn’t have a particularly wide range, hence why one would end up having to purchase multiple tools for different gage ranges. If there is consistency in your work, or if you are looking to supplement another stripper, the Ideal will work for you. Extremely limited range, not for beginners. Irvin Vise-Grip is a leading brand amongst industry professionals, so the name itself should inspire some confidence. This is a comfortable and efficient stripper that can do 12 to 22 gage comfort with ease, but may have a few problems when it comes to those higher and lower numbers. It has a micro adjustment system if you don’t feel you can rely too much on the automatic function, though I doubt you’d be using that within the moderate 12 to 22 range. For those who are inexperienced with strippers or may not be used to using this particular tool you might find yourself not quite ability to strip the entire range. You are definitely going to need to learn the tool in detail to be able to get the most out of it. Comfortable, easy to use within a limited range. Difficult learning curve for the high and low end. If you are looking for a self-adjusting stripper that is perhaps a bit more user friendly than the VISE-GRIP, and you have a bit more money to spend, I recommend looking into the Neiko Self-Adjusting Automatic. Without any adjustment at all it can strip the entire range of 10 to 26 gage wires, though you might have some difficulty with larger wires. It’s also a large clunker of a tool. It’s too heavy in the hands, and if you are dealing with tight spaces you can just forget about using it. But for most DIYers and Hobbyists, that would only be a very occasional issue. Still, if that’s a concern, you might want to supplement it with another set of strippers, such as the Capri as listed below. It’s heavy, difficult in tight spaces, better on thin than large wires. This tool is not as easy or fun as the others. It has a modest learning curve, but once you get the basics down it’s just measure, squeeze, pull, and strip. It is capable of stripping AWG 10-24, though it’s better on those higher numbers than the lower ones. It’s compact and great for getting into tighter spaces, though the lack of insulation means that one should be careful not to work with live wires. It’s also a very good cutter, though as a crimper it does leave quite a bit to be desired. It is also not particularly good when it comes to stripping insulated wires. This is the tool for those who have only an occasional need for strippers. This is the pair you get when you don’t have much in the way of money but require a pair for a quick repair job or two. Using it for long periods of time may end up leaving you with a sore arm as this takes so much more work on the part of the user. For those of you who are reading this list after needing to purchase strippers for the first time, odds are this is the type of thing you’re looking for. Just a bit of practice and you are ready to get to work! Requires extra effort on the part of the user, not good with insulation. If we are determining what the best is based on overall value and versatility, the Neiko provides the widest rage, comes with a great price point (Under twenty), and only has a few minor draw backs. The lower price point would make it very easy for you to pair up with a smaller, more maneuver about set of strippers when absolutely necessary. Though it should be pointed out that all of these wire strippers are well worth consideration. Remember that the best tool isn’t the one that costs the most, has the best reviews, or is seen as a standard amongst professionals. The best tool is always the one that best suits your personal, professional, or financial needs. Keep that in mind in your search for the best wire strippers!